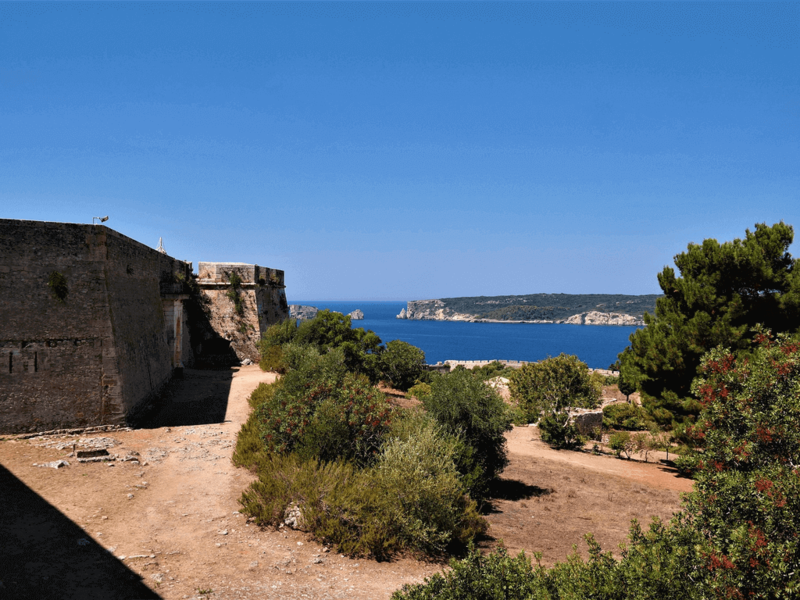 In reality, there are two castles on Navarino Bay near Pylos, the older being Paliokastro (literally old castle) built by the Franks and the more recent being Niokastro (literally new castle) built by the Ottomans. 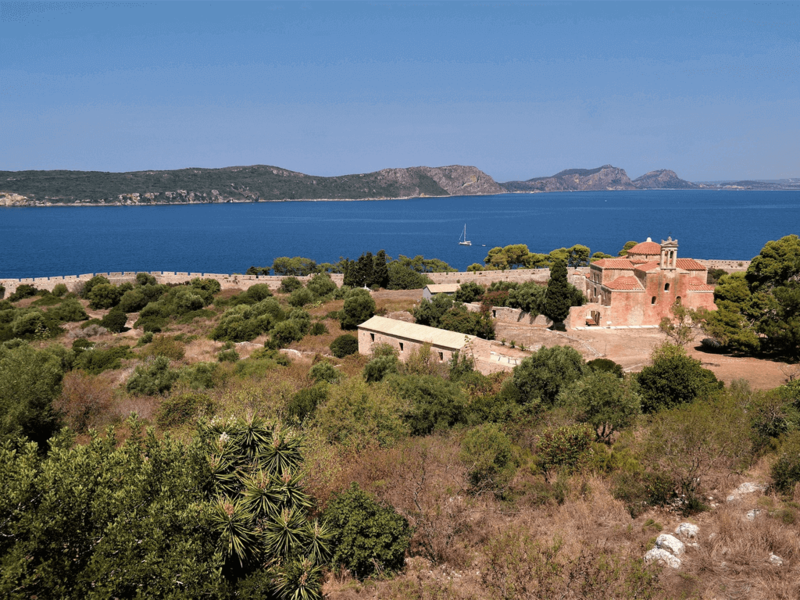 The impressive hexagonal Niokastro, more like a fort than a castle, functions as a centre of submarine archaeological research and a museum. At certain points the castle functioned as a mosque and then a church.